For my loyal readers who follow me on all social media, you know that I live a very double life. Fashionista on the weekdays and wanna be Barry Sanders on the weekend ( well it would actually be Deion Sanders since he played Corner). 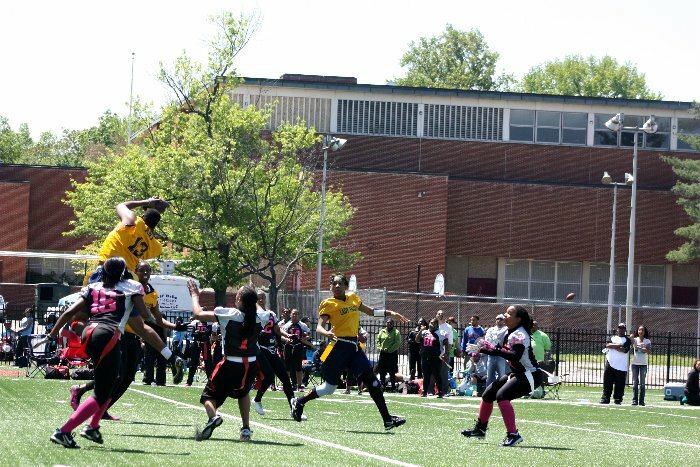 Regardless, my weekends are devoted to sweat, knee braces and the good old pigskin. 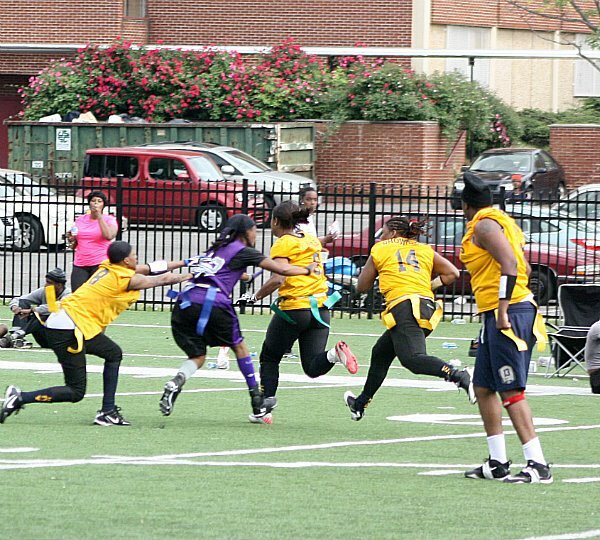 This year I decided to join all women’s flag football team along with playing on my co-ed team that I previously posted pics of before. 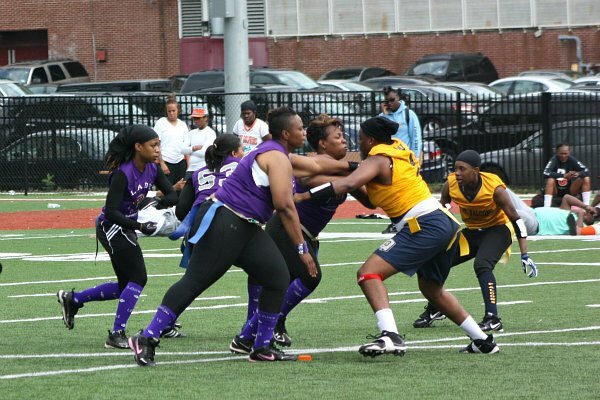 All women’s is ALOT more physical and has ALOT more contact because we are allowed to block in the backfield etc….. 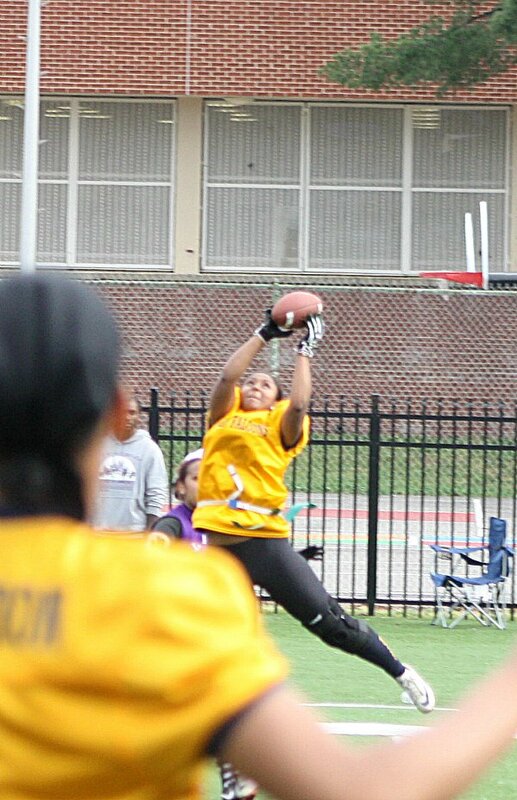 Since I just joined the team, I dont get a ton of playing time but I am quickly learning. 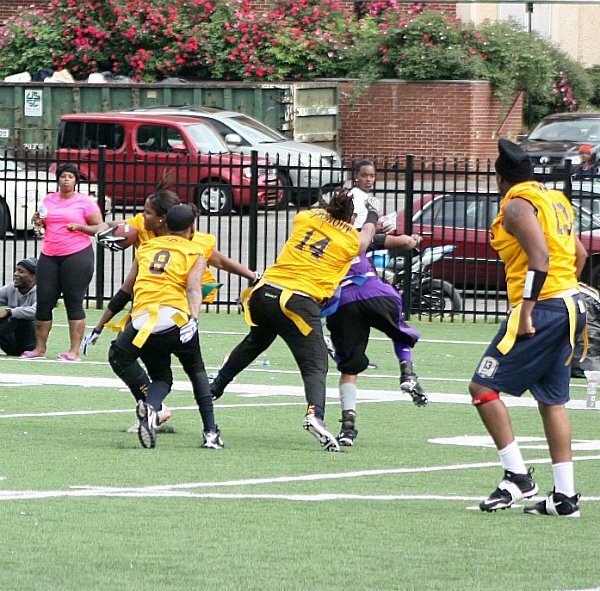 In this game, my coach put me in at corner and they ran trips on one side. 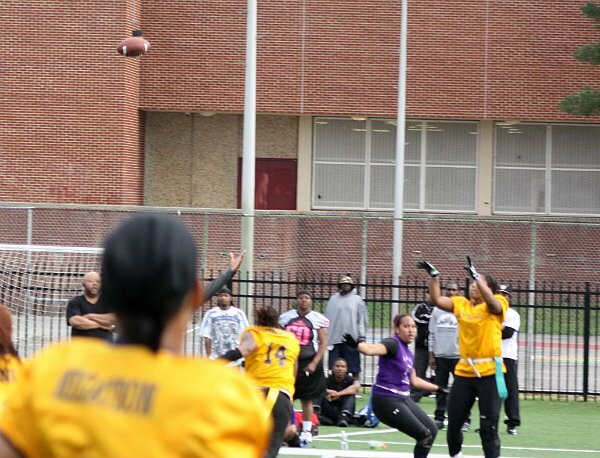 One girl ran a jet out to the sideline, the other ran a post route and the last girl ran a fly. 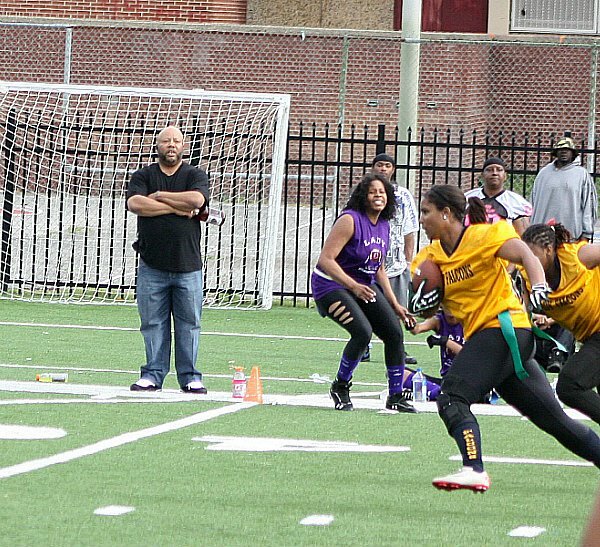 Since I was playing cornerback, I stayed with the chick who ran the fly and that left the girl running the post more open than she should have been. 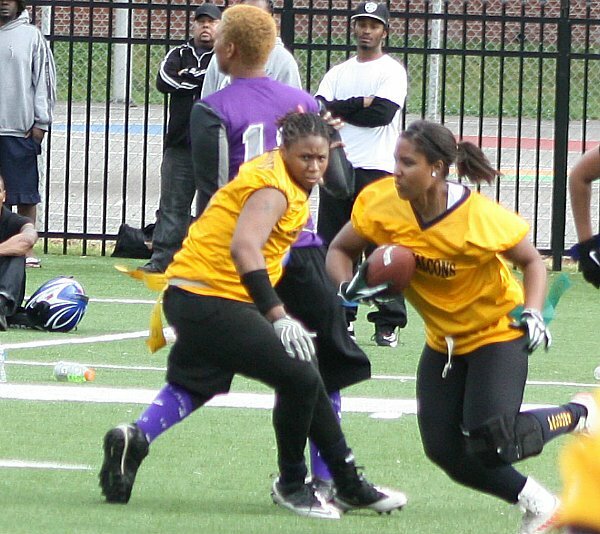 I figured our safety would take care of her but……… my coach didnt realize all of that and just thought I didnt cover correctly and took me out. I pretty much was HEATED that he took me out because I had played my part. 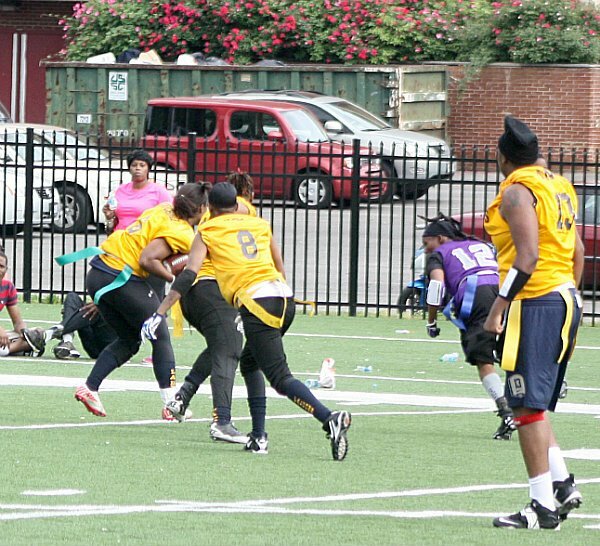 So needless to say I had some words for him which I rarely do because like I said I am still learning the all women’s game and I respect authority but Im a different person on that football field. 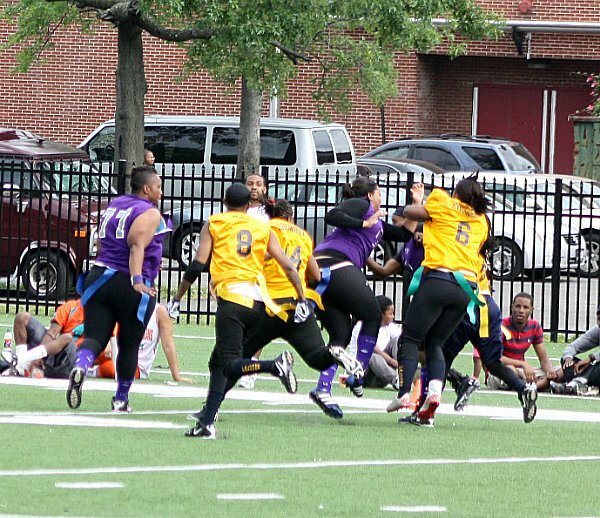 Well next time he put me back in the game I was adamant to stay in so I split the difference between the slot receiver and the wide out and got an INTERCEPTION!!!! 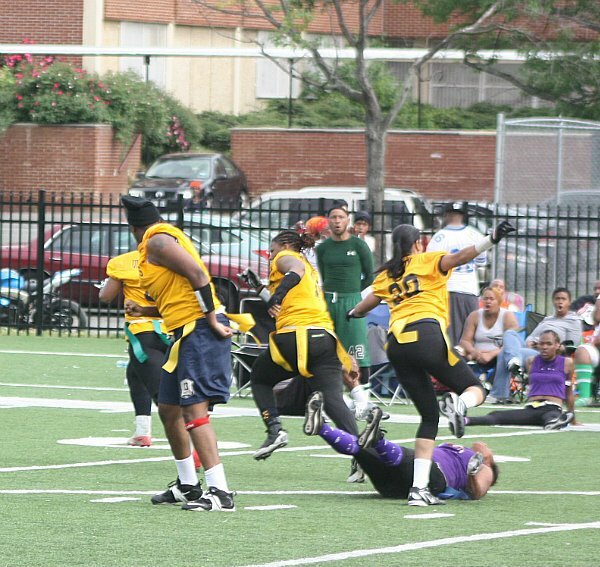 (you can do a little dance now for me) I had some great blockers on this play and in one pic you can see how a girl got LAID out on her back (lol)… Here are the pics that my boyfriend took….. I realize its not a fashion post but I wanted to share my weekend life with you all because I consider you all more than just readers but my friends as well…. ENJOY!!!!! I MUST step it UP!!!!! 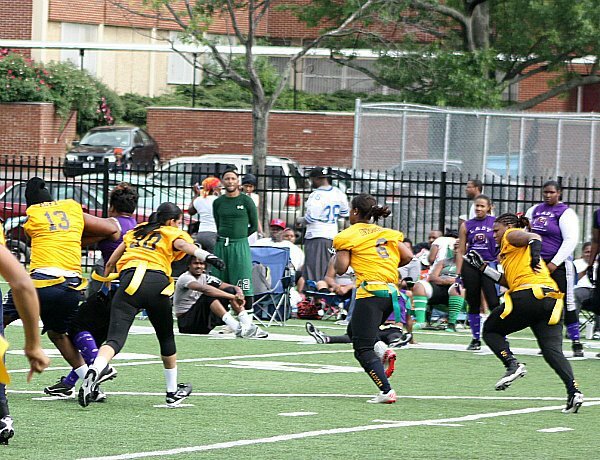 it’s an enjoyable sport & i do miss being on the field, me n the girls will come out to see you play; even if just for a bit; let us know when/where you play. 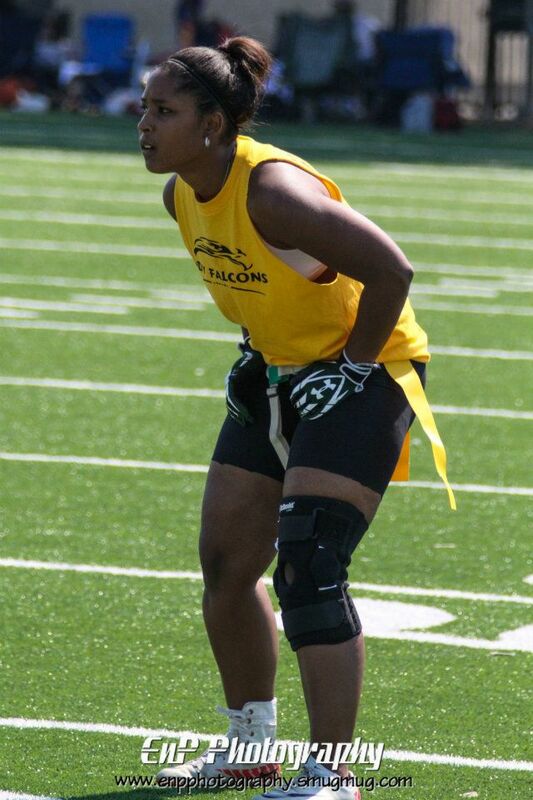 anyone that says this sport aint physical – just don’t know any betta…it’s rough. but sounds like you are learning and playn well. WOW!!!! Get’em gurl!! I love these pics! You ladies are awesome!! yes ! i love it…kudos for the versatility! thank you Aliah! I appreciate you reading and commenting! I miss you SO MUCH! You ahve NO idea. Id love for the girls to come. I actually found a really cool fashion camp that your daughter would enjoy. I will send you deets about it. Stay strong! YOu betta work it lady!! lol, I try! Thanks Tiffany! 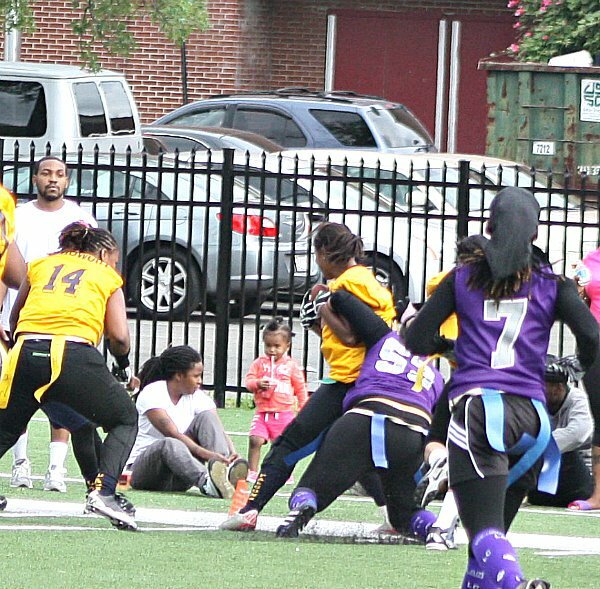 Love it…wish there was a women flag football team in my area.